One of my most read posts of all time is one I wrote 2 years ago listing my favorite graduation scenes of all time. So much has changed since then, so many great flicks and shows, so I’ve updated the list. Enjoy! 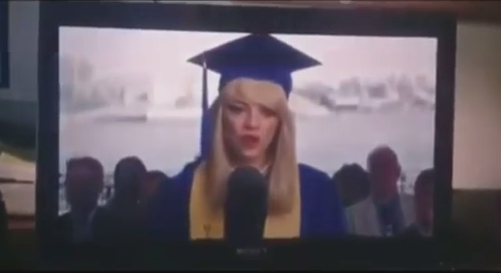 Here’s my personal Top 10 Most Memorable Graduation Scenes (TV & Movie). 13. Facts of Life – First to show graduation for the organized chaos that it really is. 12. She’s All That – Freddie Prinze, Jr. and a soccer ball, need I say more? 11. 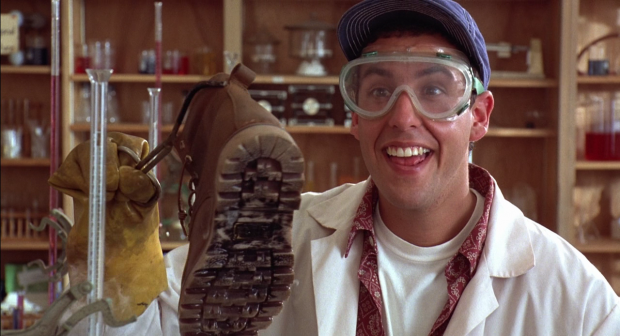 Billy Madison – On the list for sheer magnitude of graduation scenes, he graduated a grade every two weeks! 10. High School Musical 3 – I’ll admit it. I watched it and I loved it…maybe even shed a tear. 9. Legally Blonde – If Elle Woods can graduate Harvard Law, we can do anything! 8. 90210 (original) – My high school boyfriend (who’s now my hubby) was totally addicted to the show and made me watch. I remember snuggling up to watch this episode which aired days before my own college graduation. 5. Saved by the Bell – I donned my cap and gown the same year that Zack and his buddies said goodbye to Bayside. 4. 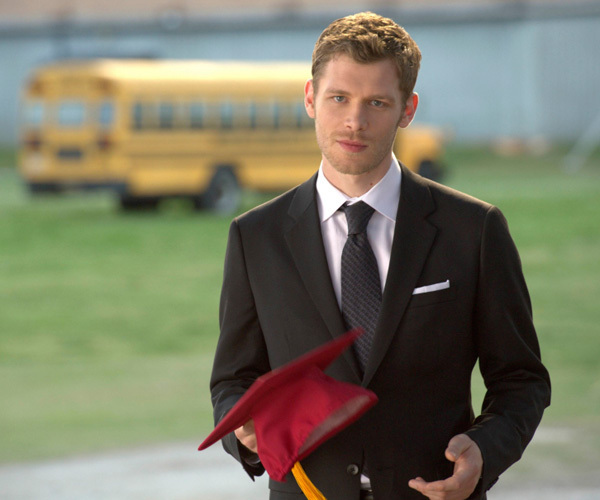 Vampire Diaries – The pure torture of watching Bonnie nod her head and not say anything when the others are going on about how they’ll all be together at college was only trumped by Klaus’s graduation present to Caroline. 3. 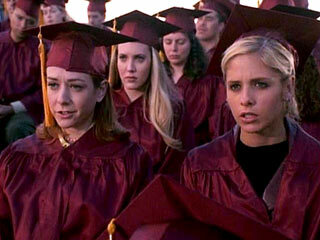 Buffy the Vampire Slayer, Graduation Day – The world if graduation meant the end of your life instead of the beginning. 2. One Tree Hill – Going into labor during the Valedictorian speech…now that’s drama. 1. 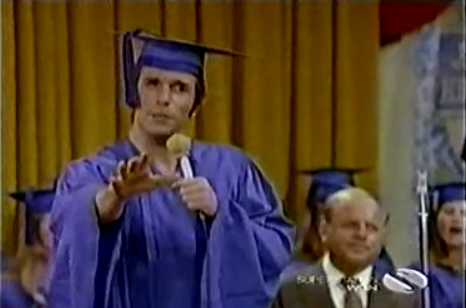 Happy Days Graduation – Fonzie surprises everyone by taking night classes to graduate with Ritchie. School is cool. Heeeyyyyy! So there’s my top ten. Feel free to leave a comment with your faves. Check out yastorytellers.com for more Fun Friday stuff.